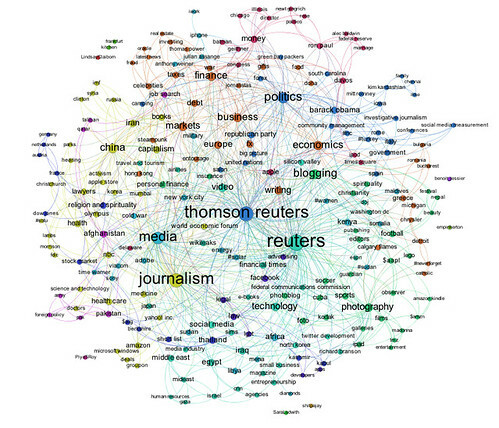 It seems that Reuters has a new product out – Reuters Social Pulse. As well as highlighting “the stories being talked about by the newsmakers we follow”, there is an area highlighting “the Reuters & Klout 50 where we rank America’s most social CEOs.” Of note here is that this list is ordered by Klout score. Reuters don’t own Klout (yet?!) do they?! Finally, here’s a quick look at folk followed by 15 or more of the folk in the Reuters Twitter journalists list: this is the common source area on Twitter for the journalists on the list. 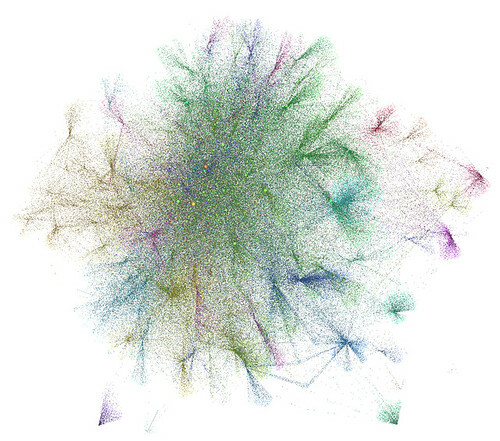 This time, I size nodes by eigenvector centrality. Friends lists are one sort of filter every Twitter user has onto the content been shared on Twitter, and something that’s easy to map. There are other views of course – the list of people mentioning a user is readily available to every Twitter user, and it’s easy enough to set up views around particular hashtags or search terms. 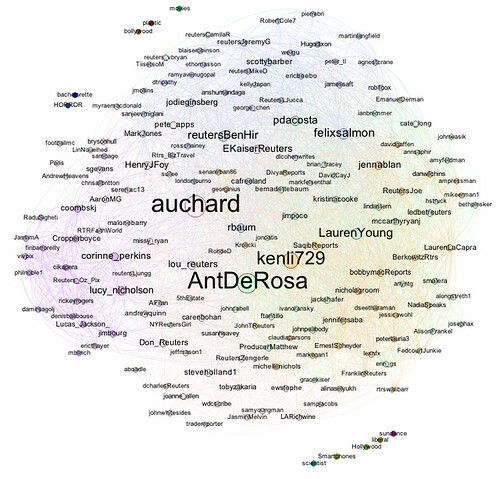 Grabbing the journalists associated with one or more particular tags, and then mapping their friends (or, indeed, followers) is also possible, as is grabbing the follower lists for one or more journalists and then looking to see who the friends of the followers are, thus positioning the the journalist in the social media environment as perceived by their followers. 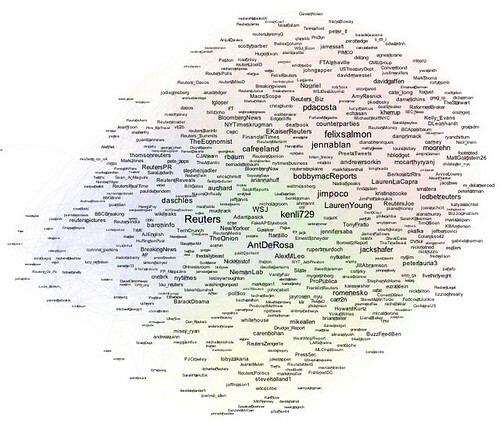 PS for associated techniques related to the emergent social positioning of hashtags and shared links on Twitter, see Socially Positioning #Sherlock and Dr John Watson’s Blog… and Social Media Interest Maps of Newsnight and BBCQT Twitterers. 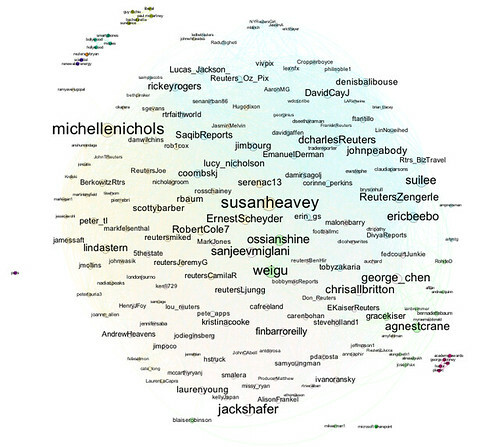 For a view over @skynews Twitter friends, and how they connect, see Visualising How @skynews’ Twitter Friends Connect.